1.-Legal regulation applicable to the combined travel contract. These General Conditions are subject to the provisions of Law 21/1995, of July 6, Combined Travel (BOE 7-7-1995), Law 7/1998, of April 13, on General Conditions of Contracting (14-4-98) and Law 26/1984, of July 19, General for the Defense of Consumers and Users (BOE 24-7-84) and other current provisions. The technical organization of these trips has been made by THE PATH OF CIVILIZATIONS, a trademark registered by VIAJES POR EL MUNDO S.L., with address at Virgen del Socorro, 13 – 6º right. 03002 Alicante, Spain, Tourism License CV-m1440-A, CIF: 28700378N, who acts only as an intermediary between customers on the one hand, and carriers, hotels, airlines and others on the other, not being able to accept any responsibility for any accident or physical or material damage, air or ground delays, irregularities, loss or theft of baggage, or hand effects, or accept responsibilities attributable to bad weather conditions, government decisions, natural disasters and other events that may occur outside the control of the same, and in general, any damage that occurs to the traveler during the trip or during the completion of excursions and visits, including or optional. 3. Price, Payment Method, Registration, Refunds. In the registration act, 40 percent of the trip amount must be deposited, and no firm reservation is considered without this requirement. The remaining 60 percent must be paid at least twenty days before the departure date. All prices indicated in this brochure may be readjusted in case of variation of current rates, exchange rates of foreign currency, etc. We ask you to reconfirm the prices at the time of booking. In case of variation after the reservation date, the traveler may choose between accepting the modifications or be free of their commitment. and be made to reimburse the amounts paid without any right to compensation by either of the two parties; If the traveler chooses to accept, he / she agrees to pay the resulting difference before starting the trip. 4. Withdrawal of the consumer, assignments and cancellation of the trip. The withdrawal of the trip previously contracted will result in the following cancellation costs. 10% of the total amount if the cancellation is made 35 days before the departure, as management expenses. a) If the withdrawal occurs more than 10 days before the one indicated for the beginning of the trip and less than 15 days, 5% of the total amount. b) From 3 to 10 days in advance, 15% of its amount. c) In the 48 hours prior to the indicated day, 25% of its amount. d) Failure to present at the departure, without prior cancellation, will mean the loss of 100% of the amount. The air ticket corresponds to a fare that does not include any refund or change (unless previously authorized by the airline) in case of cancellation of the trip once the ticket has been issued. The refund of the amount for cancellation of the trip due to the death or serious illness of the owner or of a direct relative, will only be effective if the optional insurance that covers this eventuality has been hired. 5. Accommodation and services in hotels and cruises. Only in order to offer the best operation in our itineraries, the allocation of services is exclusive to our receptives, thus reducing, as far as possible, hypothetical changes of the same in destination. Only the following types of room are considered: single, double, and double enabled as triple, with an additional bed, with the consequent reduction of space in room or cabin, and without any type of payment for this use. The rooms and cabins are always of standard category. The rooms and decks are assigned by the hotel or ship address, all are in the same category, except suites. On motor boats and cruises you can touch the upper, middle or lower decks. Therefore, cabins / adjoining or communicated rooms are not guaranteed. 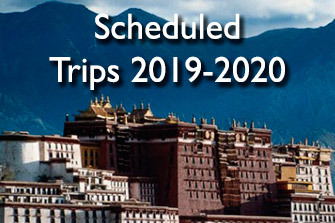 The hotels and staterooms will be available from 2:00 p.m. and the departure day will take place between 08:00 and 12:00 p.m., as the case may be. According to international standards, rooms in hotels must be vacated before 12:00 hours. The category indicated in the hotels and cruises is the corresponding to the local homologation of the country: Luxury superior (***** superior), Lujo (*****) and Primera (****). It is not contemplated in any case, combine categories in the same program. By the end of the year, both cruise ships and hotels usually organize special celebrations, forcing passengers to pay an additional supplement, which will be communicated to them before departure or upon arrival at destination. The passenger contract in current use by the airlines, when issued, will constitute the only contract between said company on the one hand and the buyer and / or passenger on the other. Due to the fact that the flights could suffer some alteration in their operative days or time changes, the itineraries could be affected by some modification in their order, respecting in any case the indicated services. Any delay in all included or optional flights in the programs will not be the responsibility of the organizing or receptive agency. If for this reason there is a total loss of any night of accommodation, the amount of the return of the same, according to the category will be: superior luxury 30 Euros person / night, luxury 24 Euros person / night, first 18 Euros person / night . The organizing agency is not responsible for the expenses that may arise due to loss of connections due to flight delays. THE PATH OF CIVILIZATIONS, reserves the right to alter the order of the route, replace any of the planned hotels and cruises by others of similar category, although these are confirmed, modify the date and time of departure or, in air travel, the type of plane envisaged, change any city of second order in any of the circuits, all this if necessary for a better organization, or if circumstances of force majeure forced to do so. Likewise, THE PATH OF CIVILIZATIONS reserves the right to proceed with the cancellation of the trip due to insufficiency in the number of registrations, etc., without the client being entitled to any claim, as long as the cancellation is communicated to the client with a minimum of ten days in advance; in this case, you will have no more right than the full refund of the amount paid; Now, if within ten days the traveler persists in the option to start his trip, it will be considered individually, thus varying the conditions and price of the trip. THE PATH OF CIVILIZATIONS, declines any responsibility for delays, advances or cancellations that occur on the part of the airlines, as well as in cases of strike, either before or during the completion of the trip, the Organizing Agency committing to realize as many as negotiations are at your disposal for the benefit of passengers affected by this type of situation. In any case, the expenses that originate for such reasons will be exclusively the responsibility of the clients. The itineraries of the cruise and the order of the visits can be modified without prior notice, even canceling a second order visit, according to the criteria of the guides or the ship’s address, which will not give right to any claim. If in case of force majeure the Organizing Agency is forced to suspend any exit, the client will not have more rights than the full refund of the amounts paid, without counting in this case, time limit of communication of the cancellation to the client. The tourist offices and / or the foreign correspondents of the respective trips, reserve the right to modify the services to be provided on the arrival and departure days, in accordance with the schedules and / or their possible changes, that for this reason may arise. 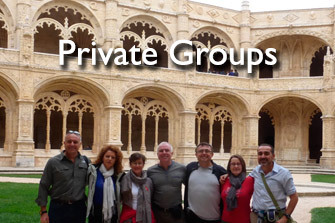 The official guides of the different countries, who accompany the groups, are the only responsible for the compliance and smooth running of the final itineraries. In the event that any of the components of a group, due to their behavior, and at the discretion of the guide, behave in an inappropriate manner and with obvious annoyance to the rest of the people in the group, the chaperone is entitled to demand that leave the excursion. The only obligation on the part of the Organizing Agency will be to reimburse, if applicable, the remaining part of the trip. The Organizing Agency is not responsible If in the case of a specific convention or congress, the assigned hotel or the category of the hotel should be changed, obliged by the authorities of the respective countries, only reimbursing the difference in the latter case. Customers must reconfirm the departure times of their trip two or three days before leaving. Clients must be provided with a valid passport, with a minimum validity of 6 months from the date of beginning of the trip, and the necessary visas for all programs abroad. Customers who enroll in these programs and do not have a Spanish passport, should also get advice before departure if their documentation is in order. When registering the passenger is assumed to be in the legal conditions of passport, visa, vaccinations and others; Any problem that may arise in this sense will produce, in case of cancellation, the same effects as those foreseen in the section cancellations. The Organizer assumes no responsibility if a client, for any reason, is denied entry into a specific country, and the resulting costs will be borne by the customer, according to the obligations that the Organizer has under the contracts entered into with third parties. parts. In accordance with current regulations, should there be any anomaly or claim during the trip, the corresponding complaint must be presented during the duration of the trip and before returning to Spain, and they must be presented to the foreign correspondents of each country. Hotels and cruise ships do not accept any type of claim once the stay is over. All claims for reimbursement should be directed to the registration office within twenty days of the final date of the services. No amount will be reimbursed for services not used voluntarily by the traveler. Claims for reimbursement will be made in writing and accompanied by a certification from the borrower. It is the wish of the organizing agency to preserve to the maximum the rights of the clients in the way that article 5 1.1 of the Constitution and the laws and ordinances of protection to the consumers prevent, submitting in case of any claim to the decision of the Counseling of Industry, Department of Tourism, of the Community Board of the Valencian Community. 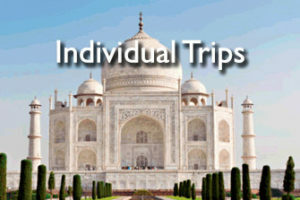 The fact of registration to take part in any of the scheduled trips implies full conformity and acceptance, by the traveler, of each and every one of the established general conditions, important notes, recommendations, amounts and in general, of all the information contained in our catalogs, offers and website, as they are part of the final product purchased by the customer. The client is aware of the adverse political or social situation of some of the proposed destinations and of the consequences that may result, especially in the case of adventure circuits that cross areas away from the usual tourist routes. For the knowledge of claims that may be made for any reason, both the traveler and the Organizing Agency expressly submit to the jurisdiction of the Courts of Alicante expressly waiving any other jurisdiction.